With the internet at hand, inspiration is always close by. 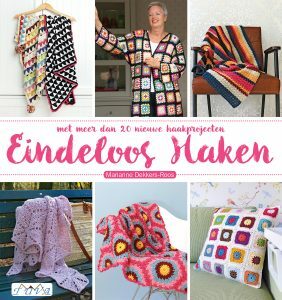 Two of the very talented ladies I love to follow are Eliane Roest (instagram, here – blog, here) and her partner in crochet-crime Janin Wensink (instagram, here – blog, here). 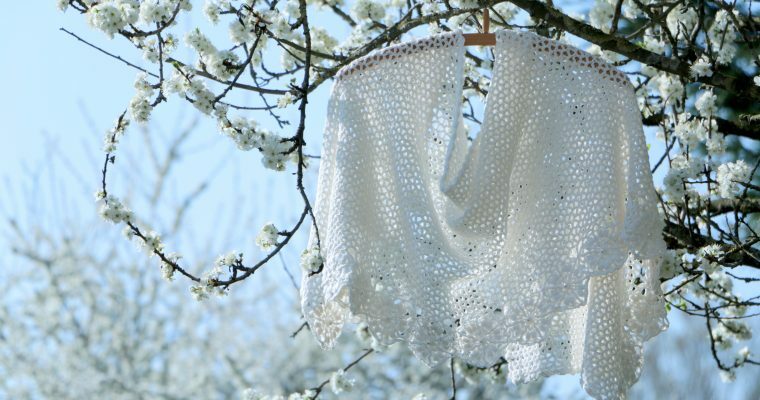 When I saw their latest design, the “Florence” (link to – paid – pattern, in Dutch ànd English, here or here), I instantly fell in love and wanted to crochet ‘her’ too. 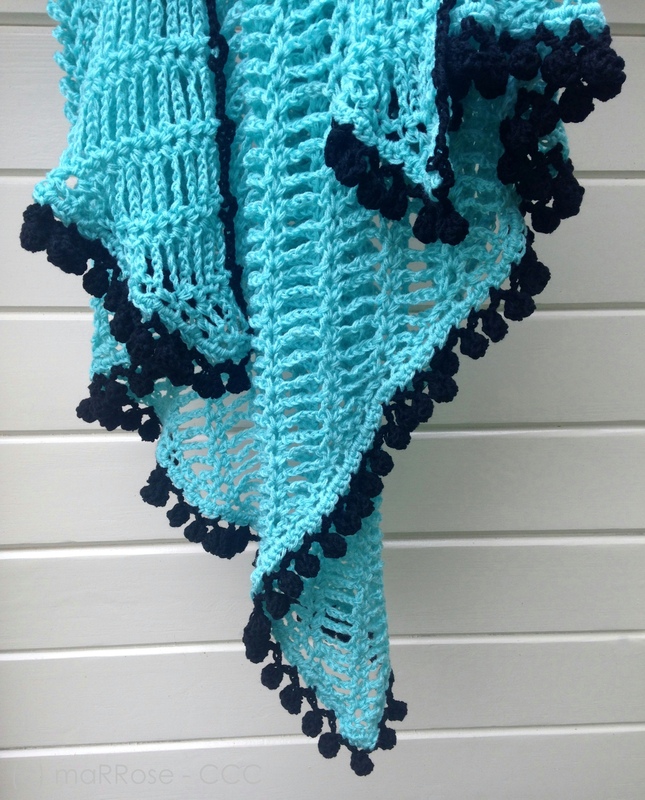 Unlike the suggestion the ladies give for the yarn to use to crochet this shawl, I stuck with my trusted “Hema-acrylic”-yarn, double strands, hooksize 8, in the lovely “aqua” – such a pretty blue (tough to photograph, but in real life a “blue-ty”). And I liked the result …… very much! 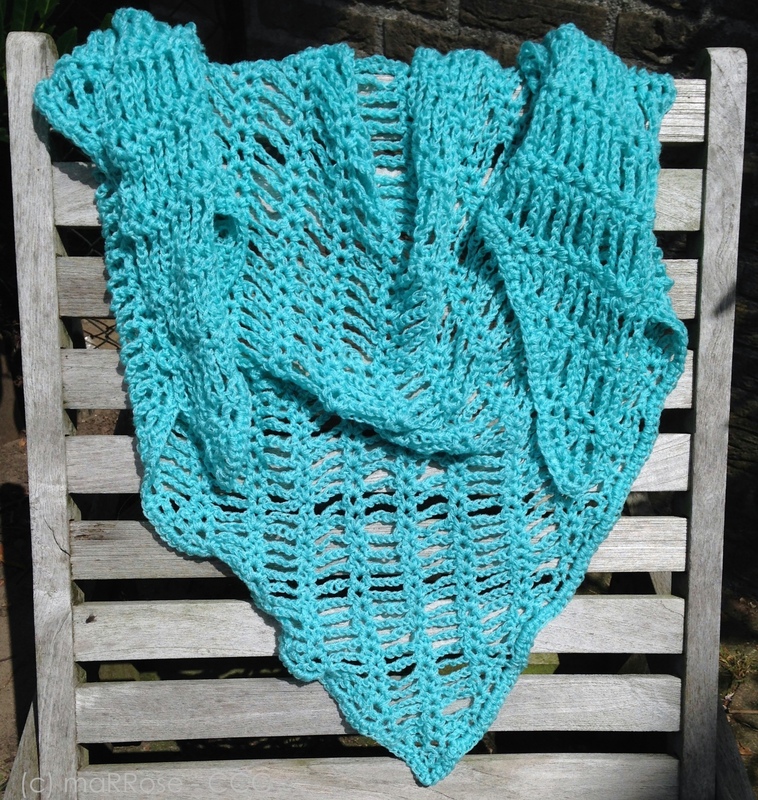 Pattern, hooksize, yarn, color: I loved the match and “Florence” was not only a true joy to crochet, but also a quick project. While crocheting the body of the shawl I tried to come up with an idea for a border, but nothing that came to mind tugged at my heartstrings. Thinking that it was thus meant to be for my “Florence” to live a borderless live, I started taking photos in preparation of a blog post. And then “boom”: big tug! 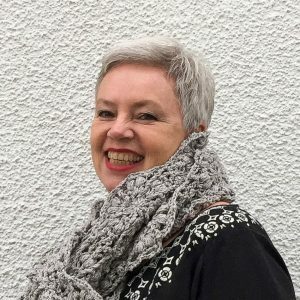 I wás going to do a border and in fact, a very, very BOLD border, sticking to my beloved pompoms – why would I care about “something new” when I was still in love with “something old”? 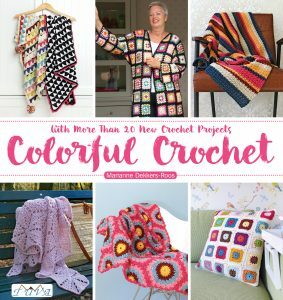 Do you ever find yourself crocheting, smiling from ear to ear, because you’re so happy seeing what your hands are doing? Well, that’s what I did and what I’m still doing when looking at my now finished “Florence”! “Florence” is bound to have a couple more siblings ………. Erg leuk ook met die leuke rand eraan. Wow fantastisch gedaan. Bedankt voor je lieve blog! This is truly stunning Marianne and I think your border is perfect and I am just in love with the colour combination. Thank you also for introducing lovely new feeds for me to follow on IG. Have a lovely weekend…in the sun I hope! Thank you so much, Heike – that is só sweet of you to say! Well, my pleasure ;), dear; I’m always thrilled to find more talent and inspiration too. Dankjewel, Janin. Het blogbericht: heel graag gedaan, zeer gemeend! 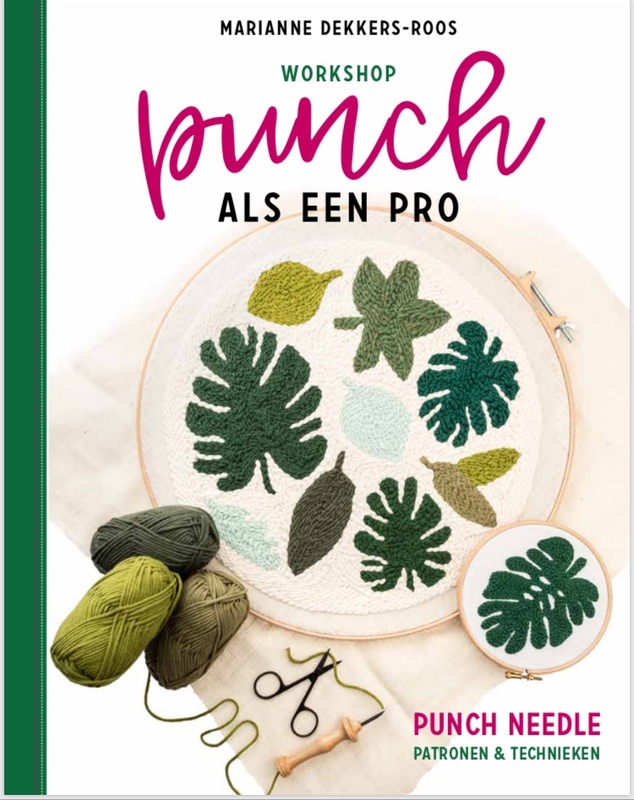 Ach, je tante, wat leuk om te lezen – tijdens het haken vroeg ik me inderdaad af hoe/waarom “Florence” juist deze naam gekregen had! Superleuk! Een heel goede toevoeging! 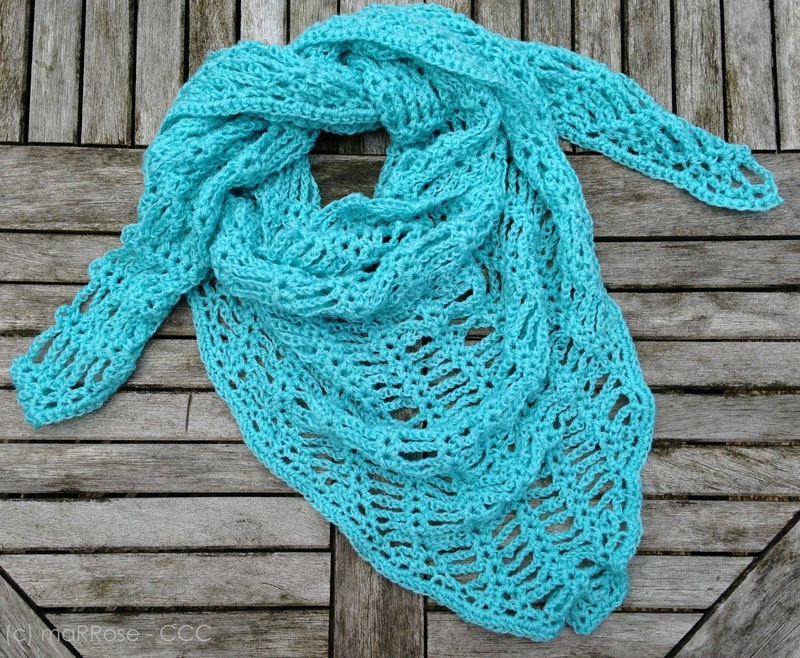 I’m total in love with the Florence Scarf but there is no possibillity to get the pattern on the internet. I tried all links I ever found but there is no site anymore and it’s Not abailable on etsy anymore. Can you please help me!